Brienne and Podrick arrive at Riverrun, where they reunite with Jaime and Bronn. Brienne explains that she has come to recruit the Blackfish and the Tully army for Sansa, but Jaime points out that he is currently besieged in Riverrun and refuses to surrender the castle. 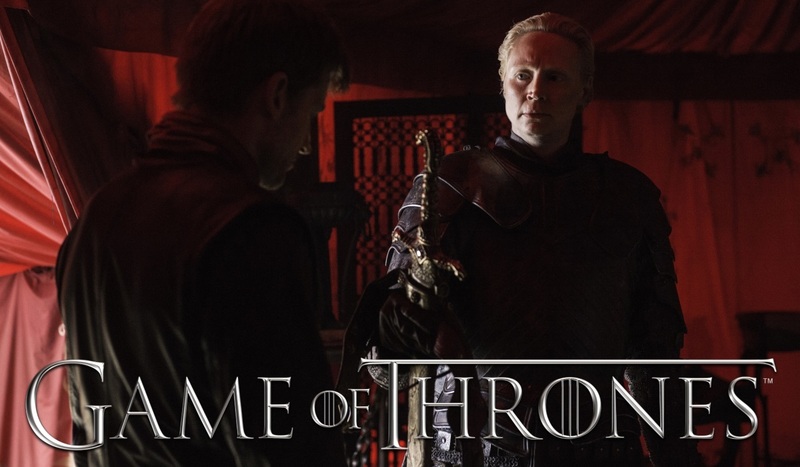 Brienne proposes that if she can convince the Blackfish to surrender the castle, then Jaime will allow him and the Tully army safe passage to the North. Jaime agrees to the plan, but gives Brienne until nightfall. She then returns Oathkeeper to Jaime, stating that she has completed her mission. Jaime, however, tells her that she can keep it, as Oathkeeper is hers and hers alone.